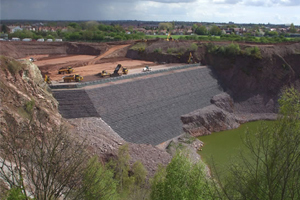 "Revolutionising the construction industry with Geotextile systems"
Geotex Construction are global leaders in the distribution and installation of a new, innovative geotextile product. Their geotextile synthetic shutter systems reinforce soil in varied and difficult terrains in order to make them suitable for construction and development. "Providing considerable environmental gain and serious savings in price and time"